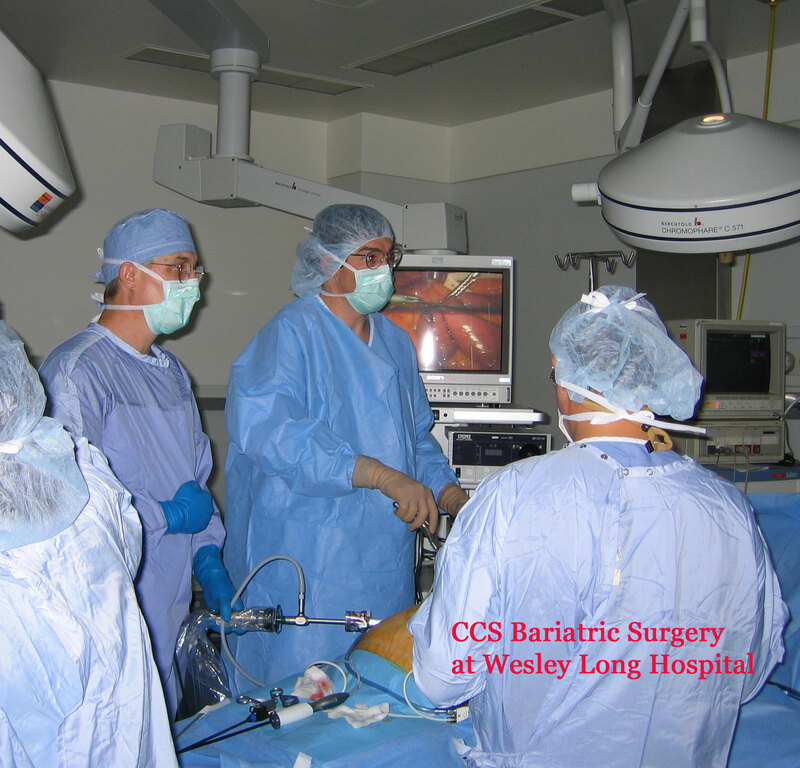 Central Carolina Surgery, PA provides general surgery services, advanced laparoscopic surgery, bariatric surgery, cancer care, as well as trauma services at the Moses H. Cone Systems Hospitals in Greensboro, North Carolina. 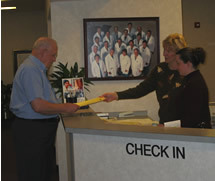 The team of 19 surgeons and one nurse practitioner perform the bulk of their surgery at the Cone and Wesley Long campuses. Their offices are located on the third floor of the Professional Medical Center which is across Church Street from the Moses Cone campus. They are available 24/7 through their switch board at 336-387-8100. For more information about individual surgeons, please see the panel of names below. Do you have a question about your recent surgery? 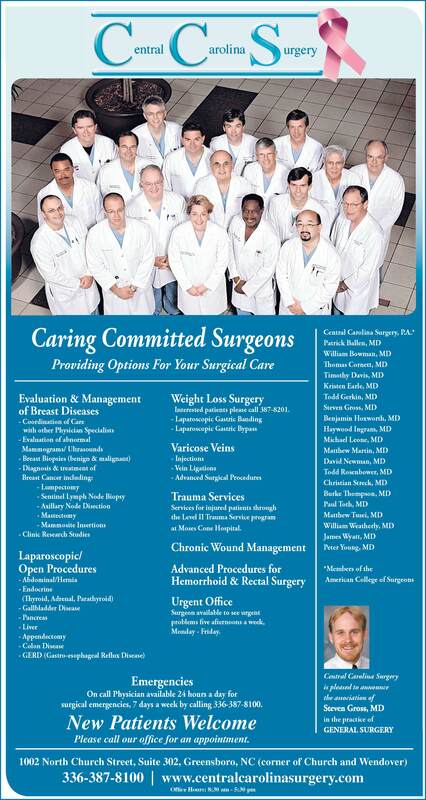 Please click on the "Surgery Guidelines" button on the left of your screen. Do you have ?? questions after your gastric bypass? Above--LapBand success at one year! Got Hemorrhoids?? New Procedure for Hemorrhoid Suffering! Website Designed and Built by: Matthew Martin, Jr.